With all the different parking services offered here at ParkVia, you can be sure to enjoy your travel knowing that your vehicle is in a safe car park. The car parks are open 24 hours, offering either open-air or undercover parking spaces so you can pick the one that best suits you! You can get to the station easily by using the shuttle bus service or for more convenience, choose the Meet and Greet service so you can drive your vehicle directly to the train station. Save time and money by booking your Naples station parking on our website! Avoid the hassle of finding parking in the area. Compare your options now and make your booking, it is as simple as that. For any help with Naples station parking bookings, please visit our "How to book" page. Naples Central railway station is the main railway station in the city of Naples and Southern Italy and is the sixth station for the Italian passenger flow. It is located next to Piazza Garibaldi to the east of the old city and the city can be reached easily by bus, tram, Metro and taxi services. The station has 25 tracks and it is connected to Rome by both high-speed trains and slower trains. 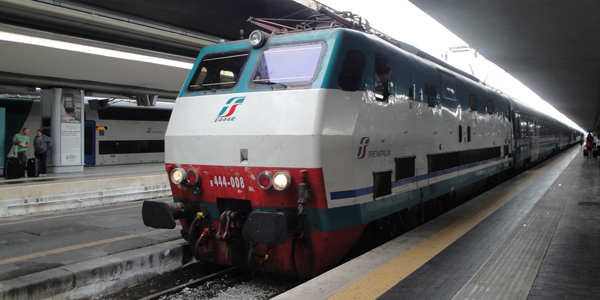 There are trains operating from here to many towns in the south as well as direct services north to Rome.